As Extraordinary Ministers of the Eucharist, we are called to deepen our devotion to the Holy Eucharist and to model our lives more closely to the Lord. We are called to minister to the people of God by assisting the priest in the distribution of the Body and Blood of Jesus Christ, within the Mass or by taking communion to the sick. This is needed in the absence of a sufficient number of priests and deacons. To be considered for this ministry of humble service and immense love, you must be a registered member of the parish in good standing with the church and approved by the pastor. If you would like to be considered for this ministry, please call the Parish office (727) 938-1974. St. Paul reminds us we lived and died in Christ. Our Baptismal Rite calls us to this “newness of life,” a holiness. We are all called through the Sacrament of Baptism to serve; it is both a right and a duty. Vatican Council II, repeats this theme of holiness so beautifully in the great Dogmatic Constitution of the Church Lumen Gentium. “The change of heart that occurs when Catholics fulfill the UNIVERSAL call to holiness, to the perfection of charity, to a life lived for the glory of God.”This is the most important change, the change of heart that occurs in the acceptance of the calling. It is through the work of the people in the celebration of the Liturgy that the laity become one in Christ linked in Communion with our brothers and sisters. We should always consider ways to increase that grace. In the early years of the Apostles, St. Paul’s work of spreading the Gospel helped inspire house churches and the creation of our Liturgy. Homeowners and neighbors participated in drawing from their Jewish faith and made adaptations to help formulate our first celebrations of the Mass as a church community. 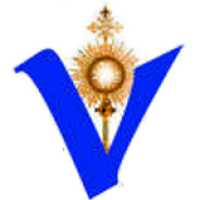 Vatican Council II, 1965-1967, reinstated those early beginnings of the church where laity took a more active participation in the Liturgy and a less clerical approach was present. The work becomes more of the people and becomes closer to the meaning of the word liturgy. We are encouraged to be more than mere spectators. In 1971, because of the groundwork established by Vatican II, the U.S. Bishops granted laity permission to assist the ordinary ministers of Communion distribute the Eucharist when a large number of faithful are present. This period of time ushered in some of the most profound changes in the church. may choose to serve. The “manna” from the Old Testament takes on a much stronger meaning. A spiritual hunger and thirst that begins to define itself within us through the Eucharist. We learn to be good servants of the Lord first and then to be a good servant to others. The Extraordinary Ministers of Holy Communion of SVDP are fully initiated members of the Catholic faith and registered parishioners of the community and are commissioned for one year. We are striving to be a diverse group as the great Irish Novelist James Joyce once described the Catholic Church, as “Here comes everybody.” We come to the Lord from all walks of life with one common bond and burning love for the Eucharist. There is a thorough orientation program, which includes a brief historical and theological background. Diocesan guidelines, parish guidelines, the practice and discussion of handling sacred vessels and scheduling policies are all included in training. Preparation includes on-going self-education and the study of the Pascal Mystery is greatly emphasized, as well as prayer and reflection. The Gift Shop stocks ample reading material and some requested materials may be ordered. In addition there are periodic workshops conducted by the Diocese of St. Petersburg. We are fortunate here to have daily Adoration and Exposition of the Blessed Sacrament. Extended hours are on Wednesdays and first Fridays. All EMHC are asked to spend a more lengthy yearly reflection on the Eucharist, preferably at Advent or Lent season. with a calling to the Eucharist. We come from all walks of life. Registration Forms may be dropped off at the Parish Office. you and any questions and requirements can be discussed at that time. the Pastor. The secretary can do this for you if you wish. Ministry. Therefore, Commissioning is required. under the authority of the Bishop. It is a great honor and privilege. possessing the love of Christ's Mission in our journey of faith. Ability to consume both species of Communion. Youth are eligible after their Sacrament of Confirmation. There is a brief but thorough training period. with training material before setting up a training session. three hours. Two sessions may be requested if desired. Training is most often one-on-one. 2:30 to 3:00 p.m. But other arrangements are possible. Scheduling is created on a rotation basis. We have youth to retired seasonal adult parishioners. It is possible for families to serve at the same Mass. Commissioning and renewal are conducted once a year. to attend. This is normally the only meeting during the year.